What is eye twitching ? Eye twitching, also known as blepharospasm or myokymia, is an involuntary blinking or twitching of the eyelid. Eye twitching is pretty common and usually come and go. It can last from a few days, to a few weeks, and even up to a few months. If you’ve ever experienced an eye twitch, then you know how annoying it is. It can cause some anxiety when you wonder what’s causing the twitching. You start to worry if something serious may be wrong with you. Luckily, most eye twitching is not a sign of a serious condition, but it could be a clue from your body to take a little better care of yourself. Is blepharitis related to eye twitching ? Blepharitis, an inflammation of the lids, dry eye, ocular allergies and light sensitivity can cause eye twitching.Eye twitching always caused by the disorder of your eye muscle, and the base of this kind of the disorder might be your tiredness and fatigue. Blepharitis may cause tears to be bad quality and to evaporate more quicker . Moreover, blepharitis is often associated with dry eyes. This is because the tear film is produced by the meibomian glands. So if they are blocked or not working well, your eyes will not be as well lubricated. This encourage tiredness of the eye and blurry vision.Especially when people with blepharitis spend a lot of time in front of a computer monitor, the eye will got tired more easily due to less blinking. 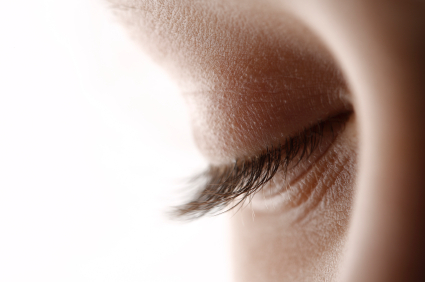 In order people to keep the eye as functional as possible, muscles around the eye get extremely strained and tired. If your myokymia is related to blepharitis learm more at : Blepharitis Treatments. Great article! Here are many important things about the blepharitis and eye myokymia. I am suffering from myokymia about 2 years and these effort can be helpful for me. Thanks for sharing this.